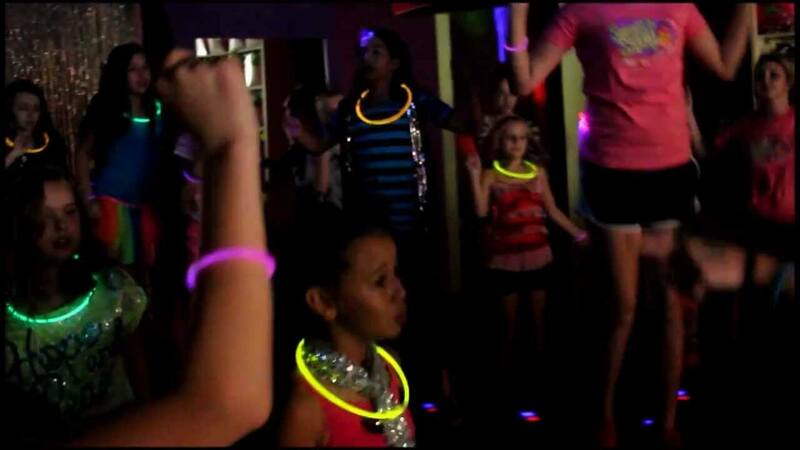 They’re are lots of indoor and outdoor party games for kids. 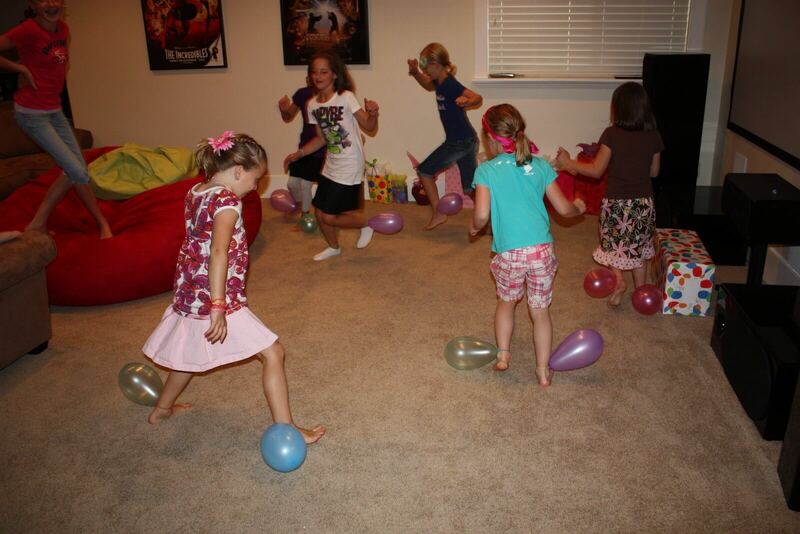 Blow up a bunch of balloons with regular air and let them hang out on the floor in a room. 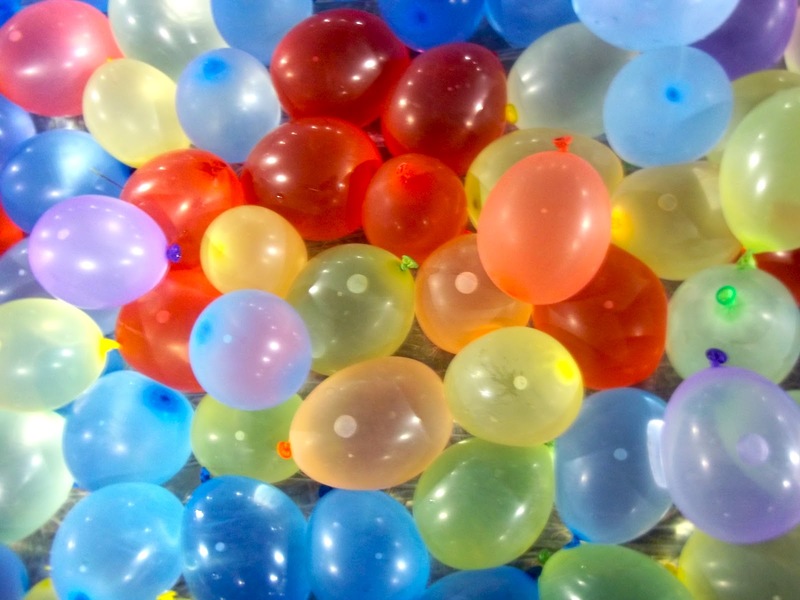 The idea of the game is to pop the highest number of balloons. The time is set for 30 seconds = 1 minute, the kids race around the room popping balloons by sitting on them. Each child is responsible for picking up their popped balloons. After the time rings, the one with the most popped balloons in their hands is the WINNER! I remember playing this one when I was little, it’s still my favorite! The game is a bit like a karate sparring tournament (no fighting of course) Depending on total number of guest you can do groups of 4+. 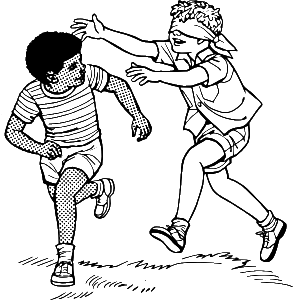 How you play: Two players lay head to head face up on their back with a spoon of ice cream of ice cream in hand. The objective is to be the first to feed the other person the spoon of ice cream. The winner of each round goes to compete until there is one player left standing. So much fun and hilarious ice cream tends to go everywhere but where it’s supposed to, so make sure this is played at as a pool party game or cover the floor with a plastic party table cloth for indoor birthday party games. 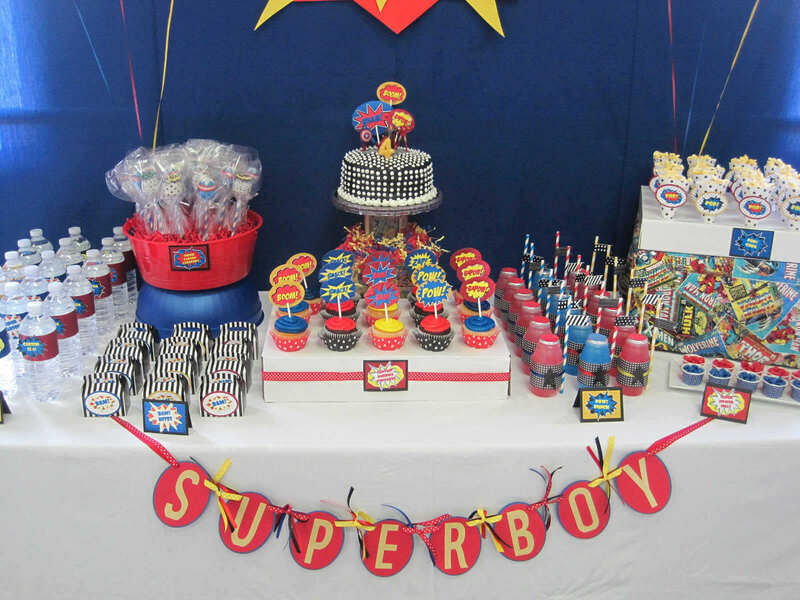 Super easy and another one of the many super funny messy fun kids party games. All you need is a tall style cup (like a stadium style), flour and a mint. Fill the cup with flour (pack tight to make a flour tower), place mint in the middle of the flour tower. One by one each player takes a heap of flour from the tower until the mint collapses. One player that drops the mint must now pick up the mint with no hands….. Everyone laughs WITH the loser…… Keep remaking the tower to play more rounds, with a new mint of course! 4. Guess… What I am ??? This game is perfect for theme parties or just a hootin good time! Get creative! Upon arrival each child gets a piece of paper stuck to their backs. Kids go around asking questions to find out what or who they are! Then gather everyone together and each one goes around and tells what they found out about “themselves” and who/what they are. 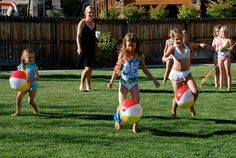 Kids outdoor party games are the best for summer. 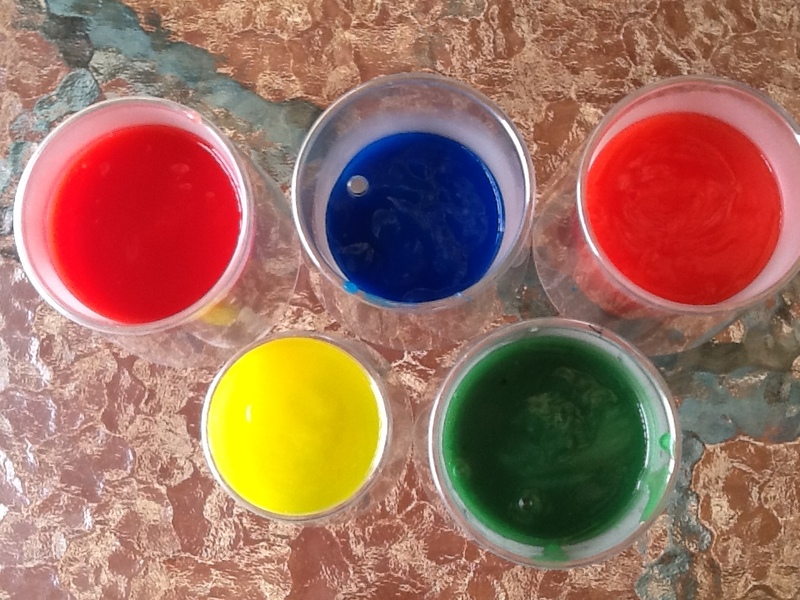 Here is one of the most fun party games for outdoors. Split into teams 1-4 players. Create an obstacle course, try to make 4-5 obstacles. Team 1 hears go and 1st player runs through the course and then tags the next player in, this continues until everyone has completed the course, record time. Next team completes the course and so on….. Here are some ideas for obstacles but try to have at least 4-5 obstacles. 1. use dress up clothes that have have to change in and out of at beginning and end, 2.set-up a baby pool to dunk in 4 times, must complete 5 complete circles with a hula hoop, bounce a tennis ball on a racket 10 times, set-up a soccer net to score a goal, carry an egg on a spoon. Team that has the best score wins. 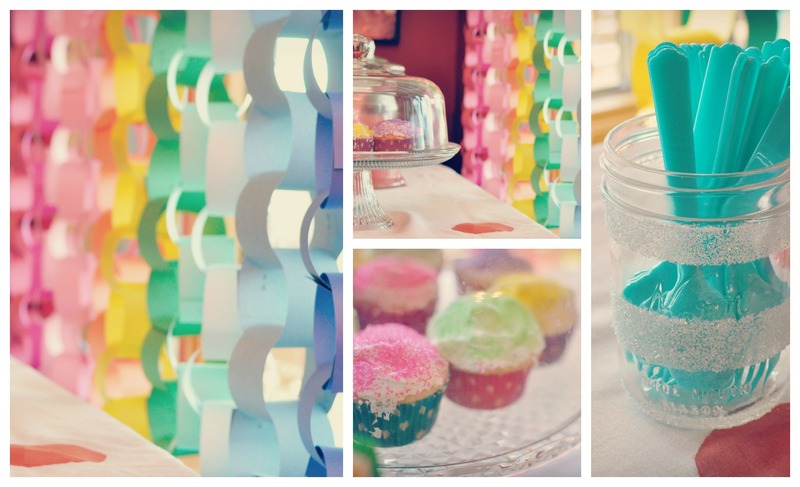 Sometimes kids party games indoor can be hard to think of, but here is one that will get things hopping! This could also be a fun slumber party game! First move any furniture too create a large open space. Turn on some music and start to flick a light on and off. The kids have to dance until the light turns on, at that point they freeze. Who ever is not frozen when the light turns on is out. Super simple and fun for all ages, even though it’s the older ones that get in to it most. A pinata filled with small toys, candy , etc.. is suspended in the air by swinging a rope around a tree branch. Ties pinata to one side and the other side an adult manipulates the pinata. 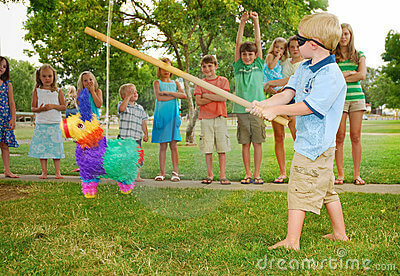 One by one players take turns swing a stick/plastic bat at the pinata but first they must be spun around 10 times (older kids only). Each child gets 5 swings, then next goes. Continues until someone breaks it open and treats fall on the floor. ATTENTION – this is a free for all! watch out for the little ones. Divide kids in teams, all teams hold hands creating a circle and may not let go of hands during the whole game. 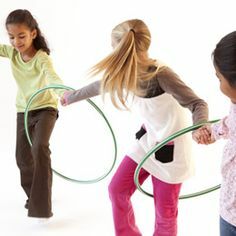 Then a hula hoop is places over the body of on team member and one by one each team mate must roll the hula hoop over their body without the hoop following on the ground. Also makes fun family party games. Perfect game for 3-5 year old children. Also only need a potato and silly music for this party game. 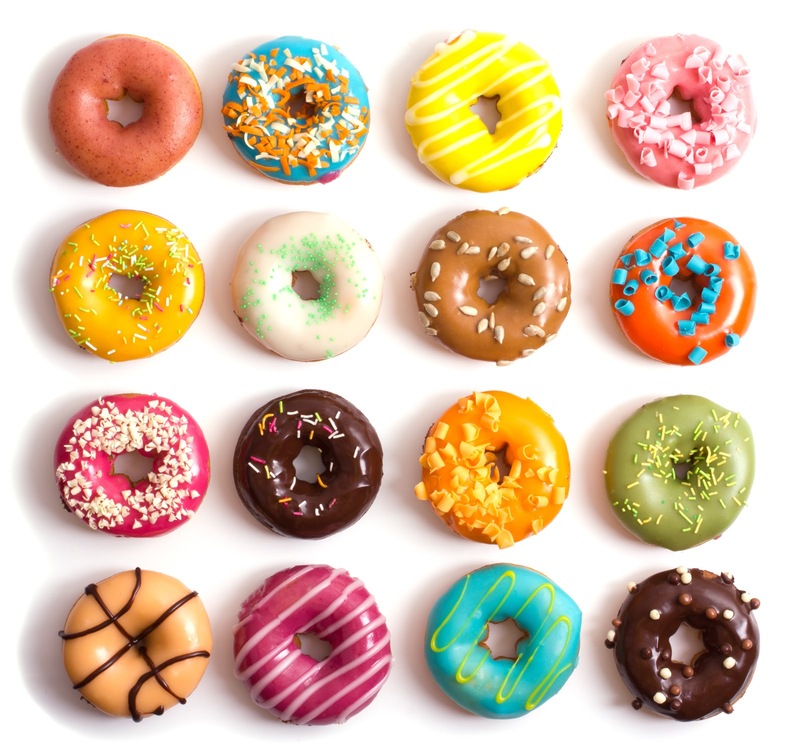 Gather the children in a circle. Give one child the potato. Once the music starts the children pass the potato around the circle. 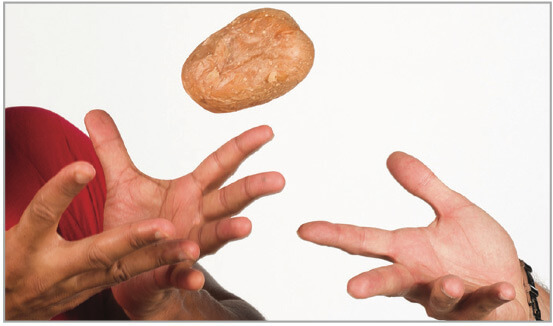 Who ever is left with the potato when the music stops is out of the circle. This goes on until only one stands. This kid party game can be played sitting down, but still gets noisy. *cute idea – heat potato in microwave. Fun party games for all ages is hard to figure out. This one is perfect, just need a big group of mixed ages. Line kids in 4 rows. Blow up sausage shape balloons, one for each group. Idea of the game is to pass the balloon with the knees to each player without dropping it. Try to line kids up by mixed heights, to make it a bit more complicated. 11 fun party games, party game, birth party games for kids.